A new programme for small businesses is set to transform the grassroots economy and empower citizens in KwaZulu-Natal (KZN). 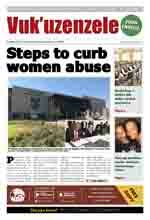 Business owners in Mandeni are set to prosper, thanks to a government-sponsored bulk-buying programme. Small-scale business owners in the KZN town said the opening of the warehouse means they will save money and grow their businesses. Phethubukhosi Xaba who owns BM Tuckshop said the KZN Bulk Buying and Warehousing Programme will be good for his business. “It will be great for us as local business owners as it will mean we can get more things at cheaper prices,” Xaba said. Spaza shop owners will buy from the Ithala Bank-owned warehouse at a cheaper price than they would at a wholesale store, said Xaba. “The warehouse will help us as it’s not about making money, but rather assisting small business people to grow our businesses,” the businessman said. The owner of Siyakhula Store, Selo Dlamini, said the warehouse is the best thing to happen for their businesses. “Because the warehouse will sell things at a cheaper price and is located closer to us, we will save. I will no longer have to go all the way to Stanger to stock up. I will just call the warehouse and give them my account number and they will deduct their payment, then they will deliver my order to my business,” he told Vuk’uzenzele. Speaking at the launch, KZN MEC for Economic Development, Tourism and Environmental Affairs, Sihle Zikalala, said the programme will open opportunities for businesses that have suffered from high prices by wholesalers. "Bulk buying is the ultimate solution to township traders who, for years now, have been denied access to goods at affordable prices. 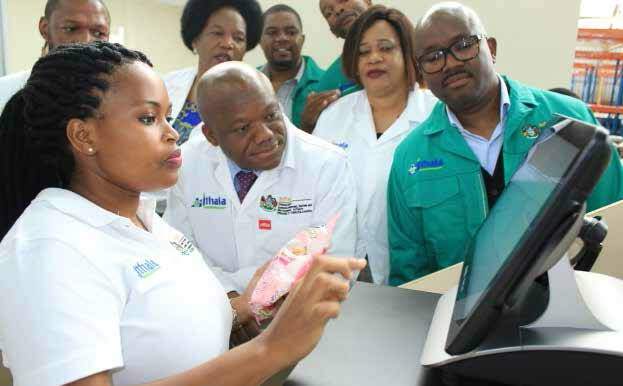 Traders will now order, using the latest paperless technology, from a state-of-the-art warehouse in Mandeni, and have their goods delivered at no cost to their shops,” Zikalala said. Small businesses’ representative organisation, the National African Federated Chamber of Commerce and Industry, echoed Zikalala’s sentiments.